A game that leads to the borders of Europe. Frontiers is an online multiplayer game that leads its players to the borders of Europe. It portrays a refugee itinerary from the sub-Sahara region to Europe. As a refugee or border patrol you‘ll get to know the border and the life behind it from both sides – in the Sahara, the beaches in southern Spain or the rainy Container port of Rotterdam. 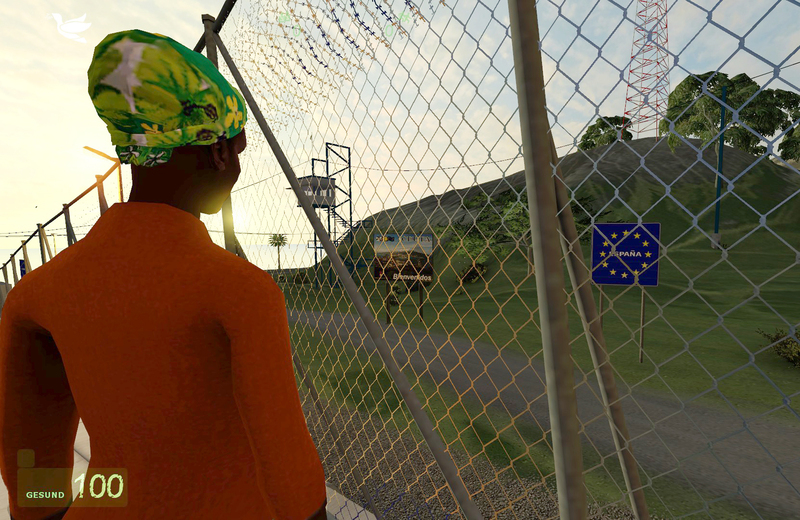 Frontiers lets politics come into play: The game portrays a major migration itinerary, from Sub-Sahara Africa to Europe. The players face up to four border situations on their route, and a final dream-like landscape filled with interviews and material from our research. The players can initially decide between the roles of refugees or different authorities. The game offers a fresh perspective on structure and game-play of first person shooters: It is a modification of the game engine Half-Life2 reinterpreting the common narrative and gaming strategies of first-person games. 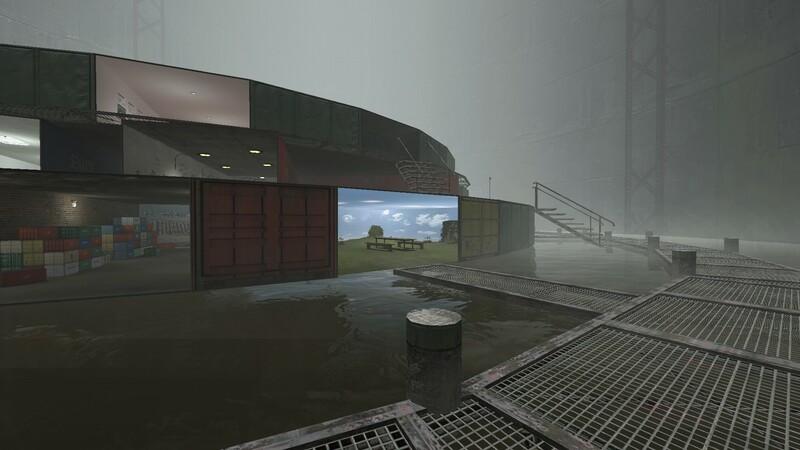 We purposefully chose the form of a mod and HL2 alike to address a large gaming community. 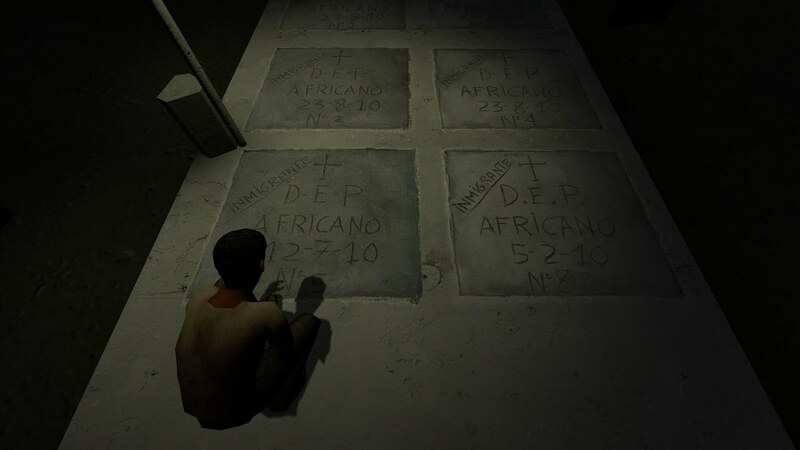 The game is based on extensive research trips to the Ukraine, Slovakia, Spain and Morocco and interviews with refugees, refugee helpers and authorities. Don’t just watch, experience the news yourself: Frontiers as a game can not possibly resolve the political matters of migration and refugees. But we’ll aim at setting geographical areas and political fields into context to enhance the perception and understanding of the migrants’ situation above a casual level of catastrophic news and create a platform for intercultural dialogue. The 3-D multi-player game is both artwork and game: It offers a mind-provoking update on the shooter-genre, as well as a documentary game portraying a real political situation. 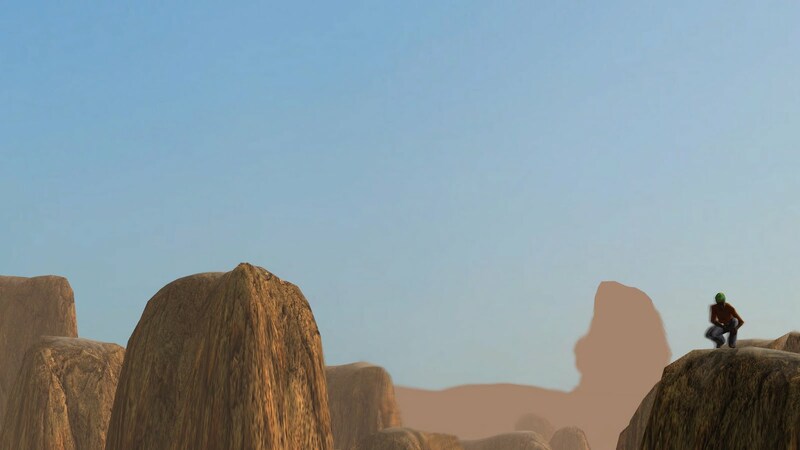 By combining both approaches it achieves a unique gameplay that turns the ambivalence of in-game representation into an asset and a starting point for discourse among the gamers themselves and beyond. 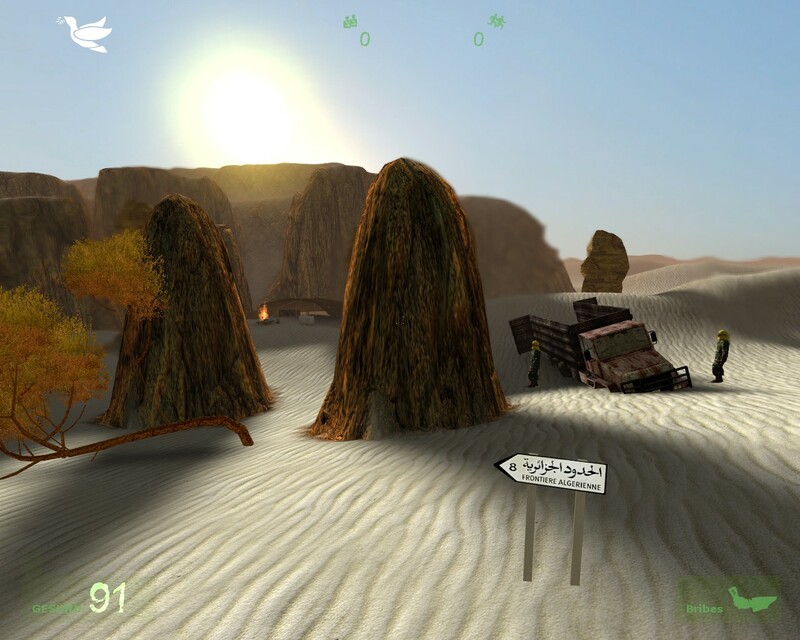 A game and platform for communication: The first idea for Frontiers came up in 2006, when the first prototype was presented. Our research started in 2007. The first beta levels were published in 2008. From the beginning on the game was presented and opened for discussions in various steps. In up to 50 work in progress presentations, open game sessions, players, refugees and everyone interested in the topic could discuss the game. 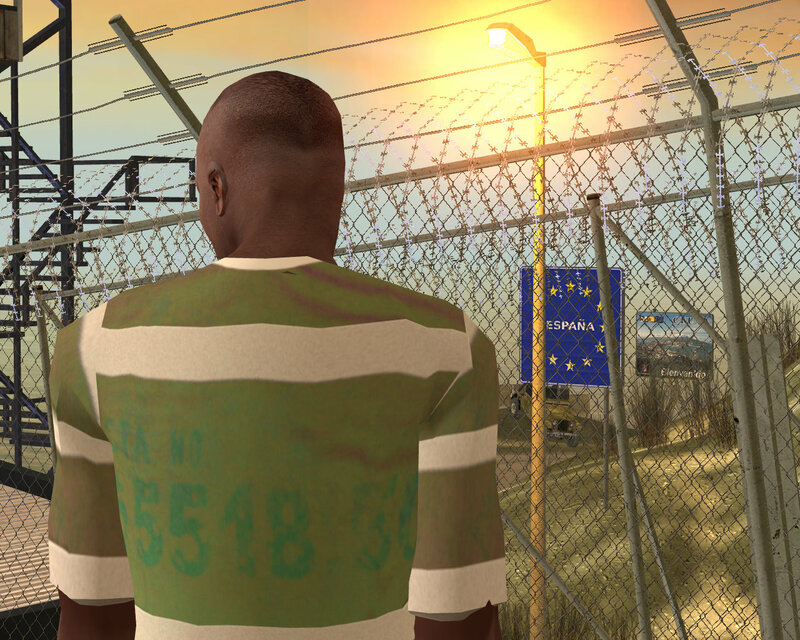 We see the game not only as a work of art but as a platform for discussions on the topic of migration and the potential of games in a political discourse. In 2011 Frontiers was presented at the Games for Change Festival New York. The game is also exhibited in the permanent game exhibition of mediamuseum ZKM Karlsruhe. 25.11.2016 - Presentation at the symposium "So far and (no) further"
11.03.2016 - Sonja Prlic at the W&K forum: „Art-Activism in Migration Contexts"
16.09.2014 - Frontiers is part of the exhibition "Schwindel der Wirklichkeit"
23.10.2013 - Exhibition of Frontiers at "Die Waffen nieder!"